Dr Alex Colás and Dr Jason Edwards discuss the crucial place of food and drink in the Brexit negotiations, and how they could impact domestic and international politics. They are authors with Jane Levi and Sami Zubaida of Food, Politics, and Society: Social Theory and the Modern Food System (University of California Press), which will be launched at a reception on 13 December. Find out more and book your free place here. Whatever the outcome of ongoing Brexit negotiations, one conclusion is abundantly clear: food and drink are critical to this process, and more widely to both domestic and international politics. This is most obvious in relation to the UK’s food security. With just over 30 per cent in value terms of Britain’s just-in-time food supply coming from within the European Union, the UK’S food security is likely to be compromised. 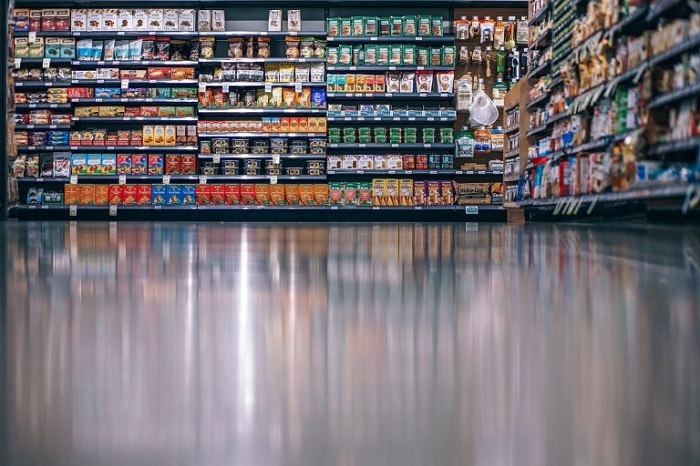 A recent authoritative report warns that Britain’s nutritional and political stability could be undermined by price volatility, sharpening inequalities and erosion of public trust following Brexit. Far from being an anecdotal sideshow, the effects of the divorce on Britain’s food economy are starting to become apparent in both the agricultural and hospitality sectors, so dependent on EU labor. The consequences of Britain’s withdrawal from the EU go beyond the high politics of summitry, increasingly appearing in the everyday lives of UK residents, touching on issues like national and regional identities, public health, fisheries and agriculture, commodity supply chains, fast food workers, food standards and changing consumer tastes. Products like Stilton, Arbroath Smokies or indeed Scotch whisky, all currently listed by the EU as having Protected Designation of Origin or Geographical Indication, are expected to retain this status only if there is a UK alignment with European regulations, and will otherwise have to apply as a ‘third country’ producers. The great British institution of the Friday night curry is also affected by Brexit. During the 2016 referendum campaign, leading Brexiteers secured the support of the Bangladesh Caterers Association – a major organisation representing the sector – with the promise that leaving the EU and ‘taking back control’ of immigration would ‘save our curry houses’. Two years on, representatives of this emblematic sector of the country’s catering industry say they are disappointed that the final Brexit deal is likely to offer EU citizens preferential access to the UK labour market. News headlines have equally highlighted the public health and food safety dimensions of Brexit as farmers and consumers worry about the prospect of chlorine-washed chicken, hormone-treated beef or genetically-modified organisms entering the UK food chain through trade deals with countries outside the EU. All of these concerns have an extensive history in British and continental politics. 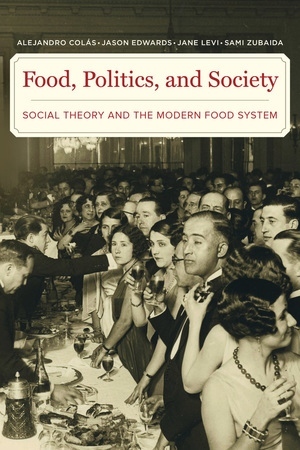 In our new book Food, Politics, and Society we take the long view and argue that in fact questions of food prices and international trade; cuisine and identity; state regulation of food and drink; or the public health and environmental consequences of different food regimes have been central to the development of western social theory since the eighteenth century. Classical political economists such as Adam Smith, David Ricardo and their eminent critic Karl Marx should to different degrees be seen as theorists of food politics. Food is key to Smith and Ricardo’s famous accounts of rent and comparative advantage, while the importance for Marx’s work of the agro-ecological concept of ‘metabolism’ has recently been expertly recovered by Marxian scholars. Closer to our times, theories of nationalism, the public sphere, class or gender have emphasized the centrality of food and drink to the reproduction of these social phenomena. It is useful to place the ongoing policy debates and political disputes surrounding the food politics of Brexit in wider historical and sociological perspective because food and drink have been of critical importance to European geopolitics in the modern age. In the nineteenth century, ‘Gastronationalism’ played a significant part in the formation of national identity in major states like Italy and France, and the invention of national and sub-national food cultures remains a feature of politics across Europe (an activity, somewhat ironically, much supported by the EU). But modern national food cultures have been shaped by a more-or-less conscious mimicry or rejection of other food cultures. The traditional British distaste for garlic – a French predilection – developed at the same time as a public eating culture massively influenced by French ideas of culinary technique and table service. The ‘revival’ of British food over the last twenty years is in fact far more of an invention shaped by foreign food developments, such as the Slow Food movement originating in Italy. At the same time, the struggle to define national cuisines within states has often mirrored deep divides along lines of class, gender, and ethnicity. Brexit is – or has become – more than a disagreement over the economic costs and benefits of EU membership. It has expressed underlying conflicts in modern British society, and these conflicts are reflected in contending visions of what British food is and should be. Post-Brexit, British Gastronationalism is likely to be reinvented once again. As one restaurant critic recently put it: ‘In a post-Europe landscape, we’ll drink only Denbies red wine from the vineyards of Dorking and eat fish and chips off fancy plates while listening to vintage Arctic Monkeys’. Alex Colás and Jason Edwards teach in the Politics Department at Birkbeck College and convene the Birkbeck Food Group. Get free tickets for the launch reception on Thursday 13 December where discount copies of Food, Politics, and Society: Social Theory and the Modern Food System will be on sale. Category: Social Sciences History and Philosophy Tags: Brexit, food, Politics by Louisa.